Budget Car Batteries in christchur­ch, Auckland wellington hamilton. 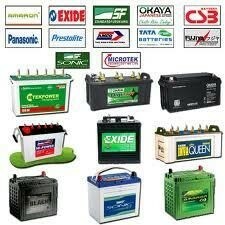 Used Car Batteries at affordable prices save %70 of market price. Budget Car Batteries in christchurch, Auckland wellington hamilton. Used Car Batteries at affordable prices save %70 of market price. Need Batteries for your car? Buy it from our car wrecking yard. Why spend money on new ones when our batteries are just as good. Second Hand Car Battery Christchurch have all sorts of batteries for any type of car. There are many car battery types available and we’re often asked about types of car batteries, especially the different types to match different models of cars. Why buy a battery from Second Hand Car Battery. Of course, a better reason might be the choices and help you’ll find on www.carcollection.co.nz. And then there’s the price. Yes – the price. you will find the lowest price possible right here. Don’t wait until you’re stuck on the side of the road. Second Hand Car Battery Christchurch sell car batteries for New Zealanders in most areas 365 days a year – you don’t have to be in Christchurch. Let us help you! Second Hand Car Battery invite you to come down to our store and we will find a battery that is just right for your car. Not only will you have battery that as good as a new but you will have it at a quarter of the price of a new one. Affordable car batteries are becoming more popular with modern vehicles. At Second Hand Car Battery Service, we do have some stock of the AGM battery into our range to provide support to wide range of vehicles. Great service. First battery was at the end of its life and wouldn't start the car from cold, returned and gave a replacement with no questions just apologies and replacement works with no problems.